In order to provide 24 hour service to its clients, GCCC acquired top calibre professionals, modern vehicles and equipment, which are maintained professionally. All our flet is fited with a GPS system. 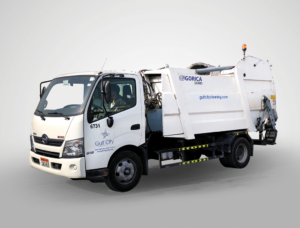 With this real-time information at their figertips, managers can make quick and effiient decisions that result in improved business operations and helps to cut down fuel consumption, time loss and overtime costs. Further, this turns out to be a value addition to our business by improving the level of effiiency and quality of service we can provide to win customer satisfaction. This picture shows our Yard at Mina Salman Industrial Estate where vehicles are parked after work and all washed. 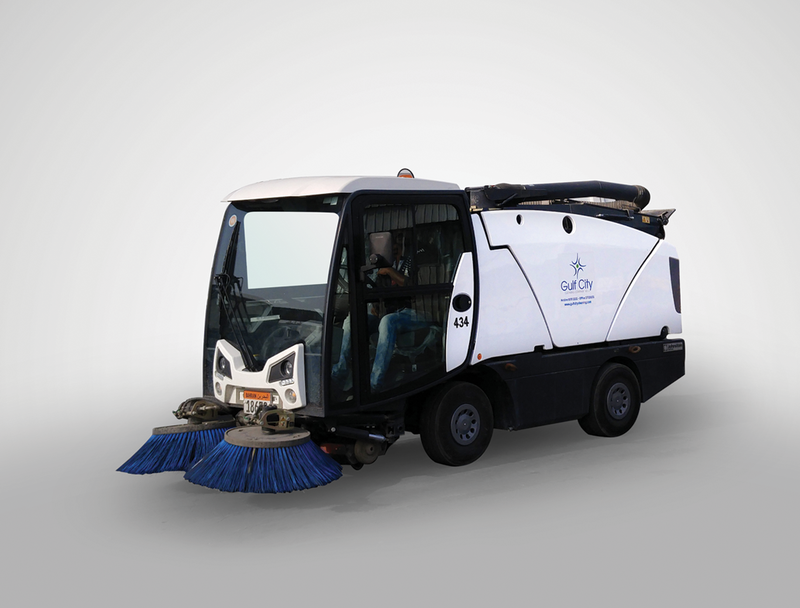 This is one of six of our Johnston CN200 sweepers. These are very versatile. This is the backbone of our waste collection flet we now have 33 of these Nissan 6×4 chassis. 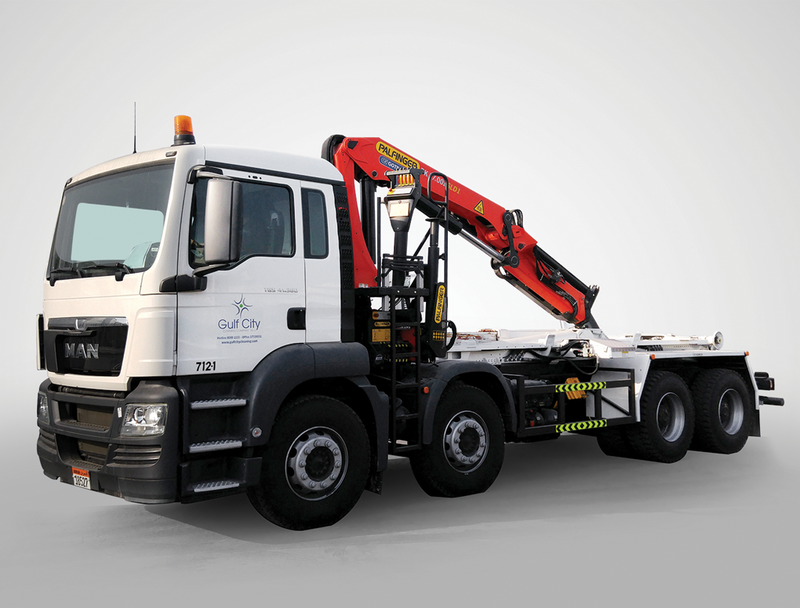 This is one of our most versatile vehicles a large Nissan 6×4 truck fited with a Pallfiger crane. 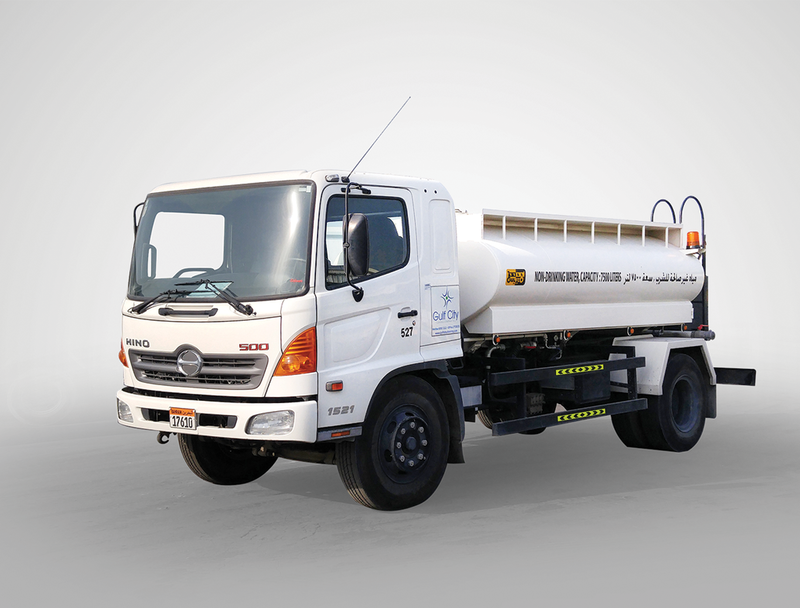 This is an example of our flet of waste water vacuum tankers. 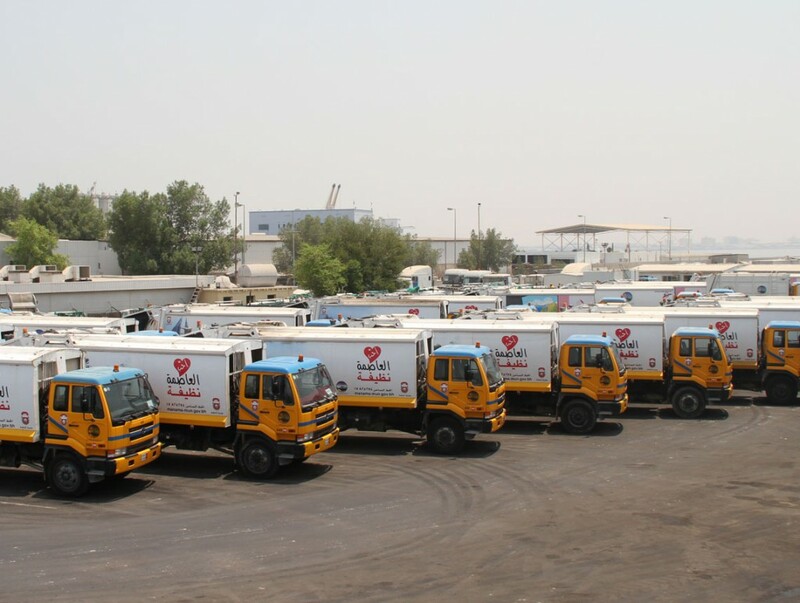 These vehicles remove waste for disposal at Tubli Plant. 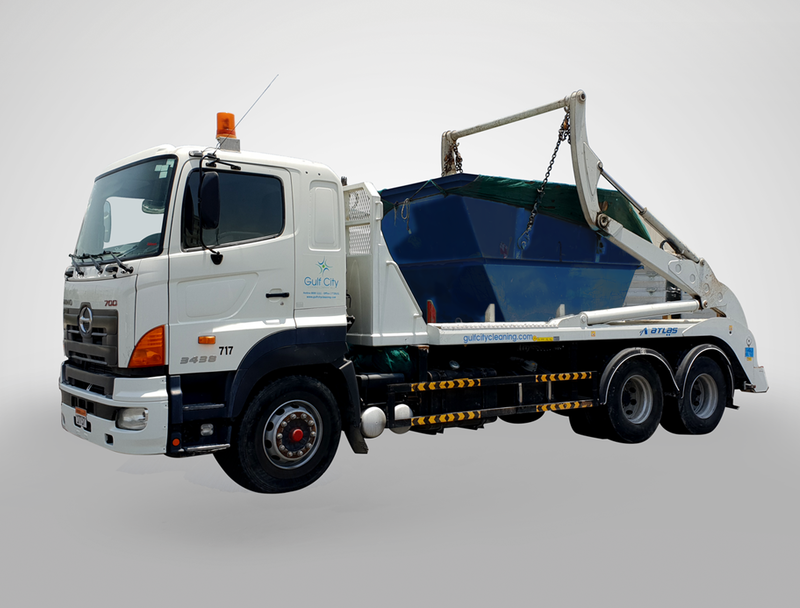 This is an example of our flet of tipping six wheels. 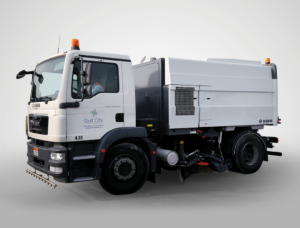 These are utilised to remove loose, bulky garden waste. 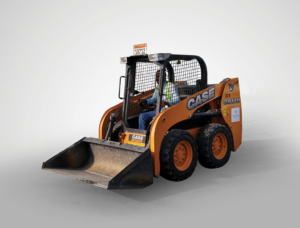 This is an example of our Skid Steer loaders. They are very versatile units used for open land clearance. 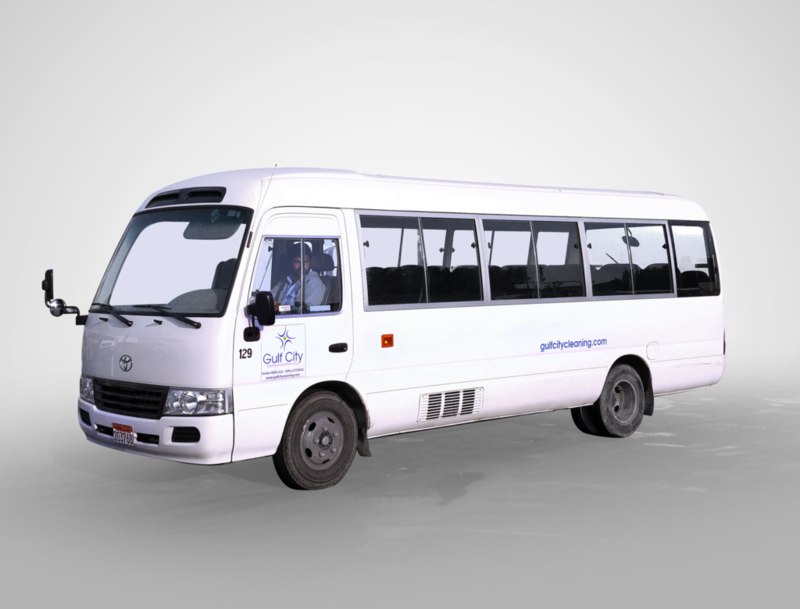 GCCC also has a flet of Mitsubishi Rosa buses, which are used for labour transport on our Municipal contracts. 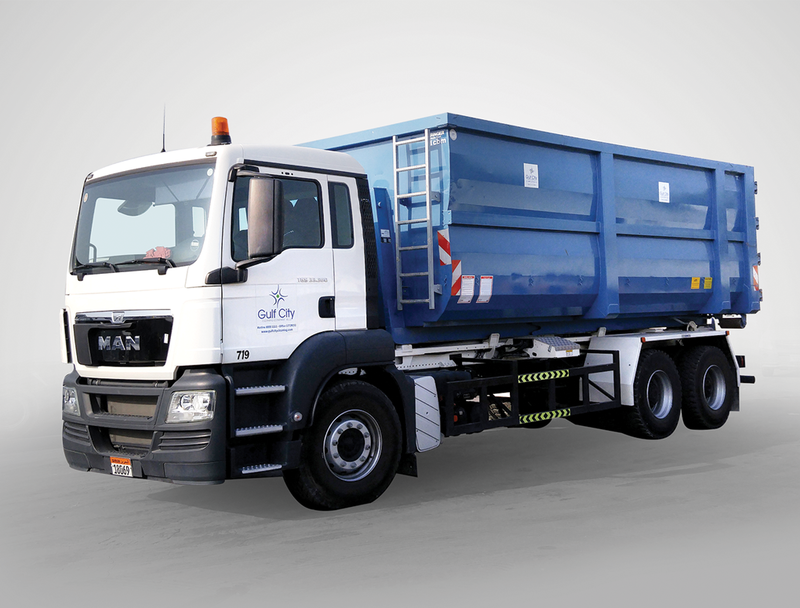 This is one of our flet of Skip Loader trucks with skip on board. 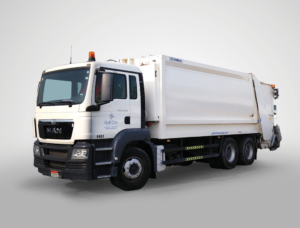 7.5 cu m skips are available to hire. 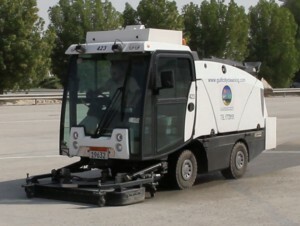 This is one of six of our Johnston 650 sweepers. These are very versatile and can be utilised to sweep any roads, car parks open areas. This is a recent addition to our flet from June 2010. 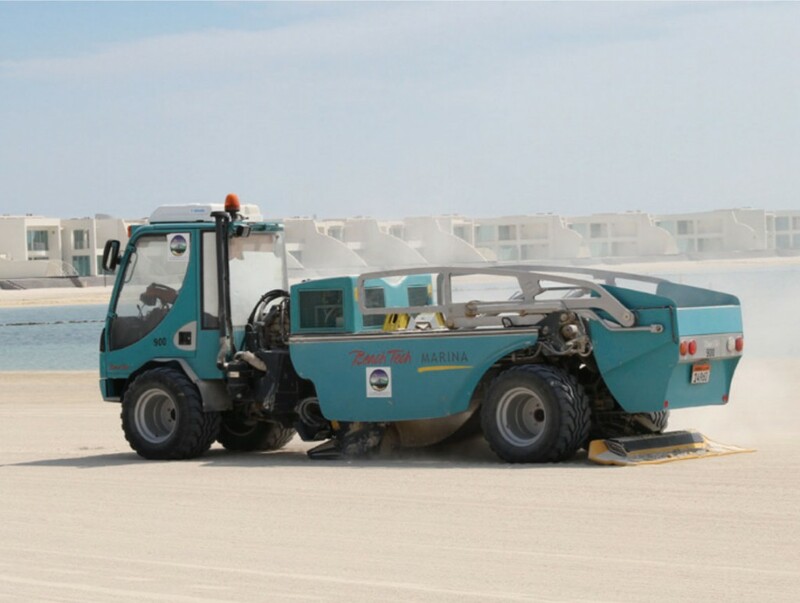 We use it to clean and groom beaches on one of our contracts. 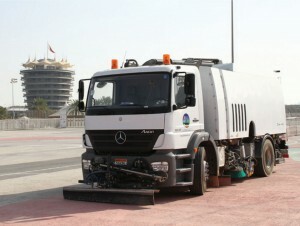 In December 2010 GCCC was awarded a 4 year contract for track cleaning services at BIC. This contract required 2 specialist machines from Beam in Denmark. 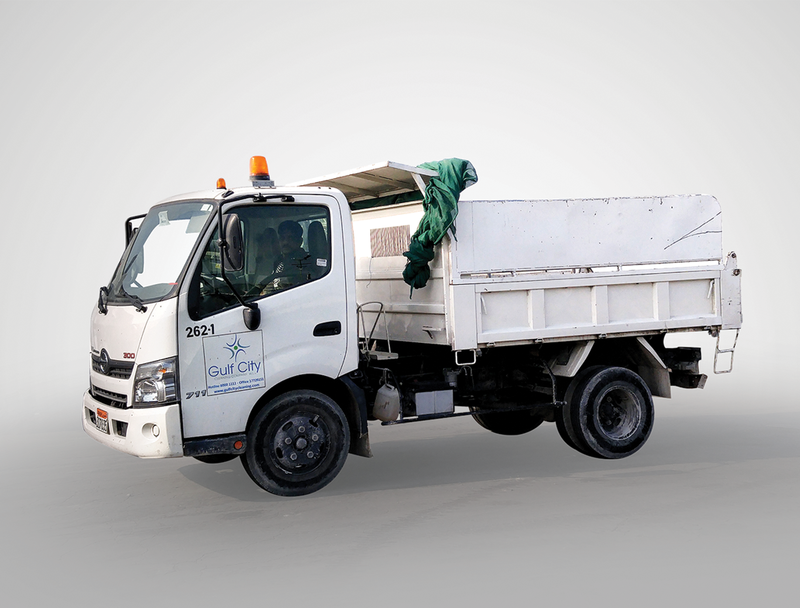 This is one of our two Nissan Trucks 6×4 fited with Palfiger hook loading system. 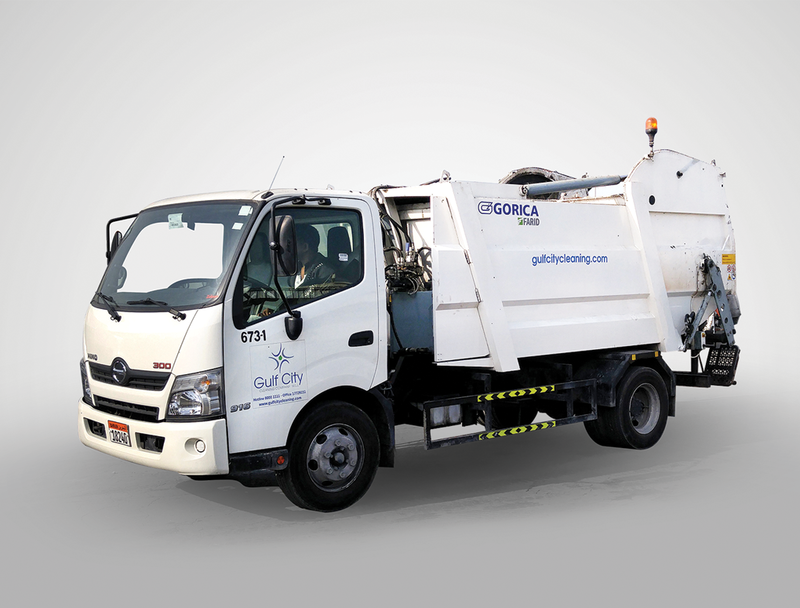 shown with a Large 18 cubic meter static compactor. In our waste collection flet, we now have 6 of these Nissan 4×2 chassis, used in narrow area, such as souques etc. This is a compact washer from Beam in Denmark. 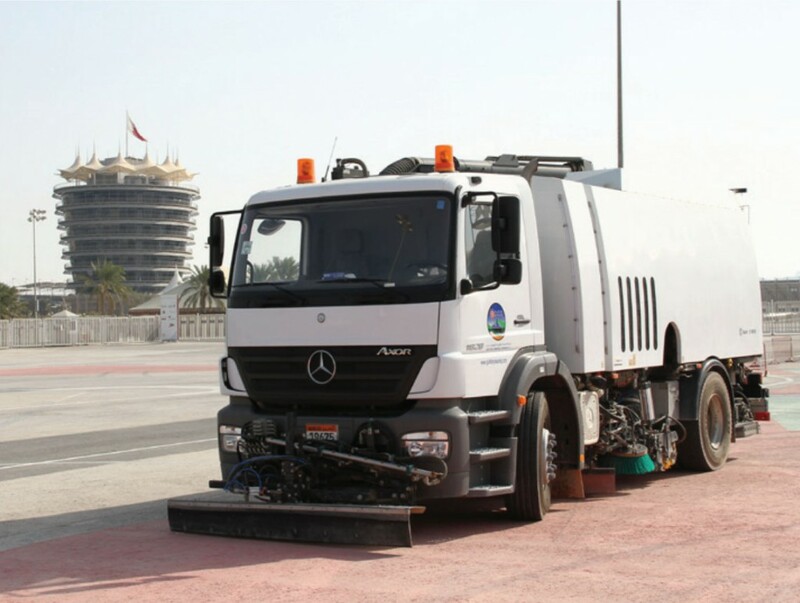 It high pressure washes & vacuums paved areas used on our contract at Bahrain International Circuit. 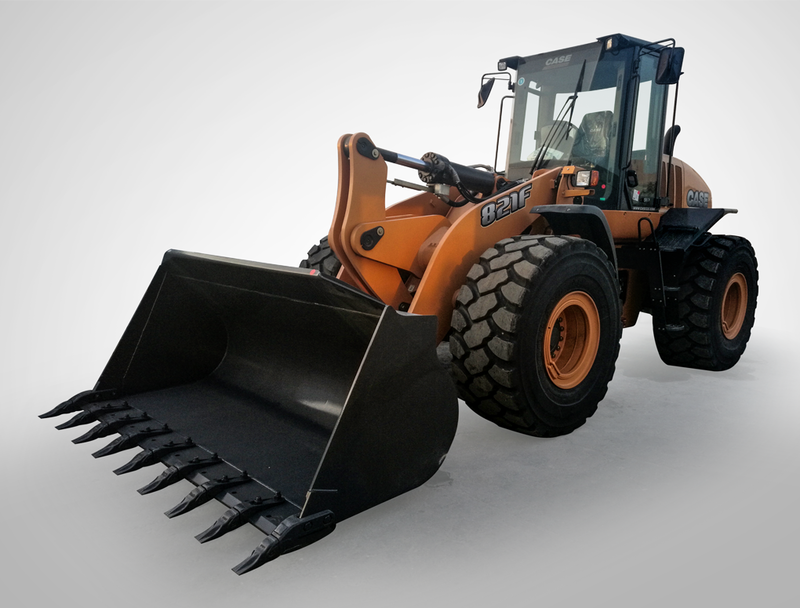 This is one of our seven loading shovels mainly used for open land clearance. All loose rubbish is moved in tippers to the landfil site at Asker.